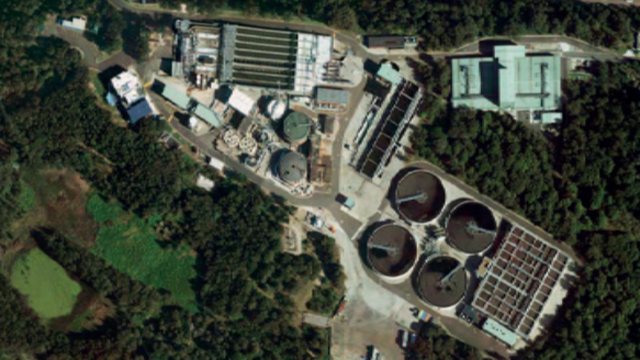 When it was time to replace their old decanters, Sydney Water’s Cronulla treatment plant was looking for the most recent technology that would require minimal change to their existing set-up. Deciding to go with the solution offered by Alfa Laval, they could not believe actual electricity savings of almost 50%. Sydney Water is Australia's largest water utility. They supply water, wastewater, recycled water and some stormwater services to over 4.6 million people. At their Cronulla sewage treatment plant on the Kurnell Peninsula, about 18 km south of the Sydney CBD, approximately 54 million litres of wastewater are processed a day, comprising around 10% of the 190,000 tonnes of bio-solids produced by Sydney Water every year. Decanters are the key to the final preparation of the bio-solids in readiness for their transportation and use by other industries. Mark Ziogas, Production Officer, was heavily involved in the technical specification of the tender for the plant’s new decanters on behalf of Sydney Water, then oversaw the installation and commissioning of two of Alfa Laval’s G3 decanters. Rather than focus on moisture rates, the tender concentrated more on the volumetric and hydraulic capacity of the machines to ensure that the decanters could deal with current loads, and have sufficient capacity for any future population increases within the area. Alfa Laval was awarded the tender for a number of reasons. Some added and unanticipated bonuses have appeared along the way. ’The power reduction of what was presented to us, well, we saw an even greater power reduction in reality. Alfa Laval said that they could achieve between 30-40%. In reality, we’re seeing savings in excess of 47% power savings on the decanters alone. It’s very impressive. There were some sceptics. Once the real numbers were relayed to them, they were like ’wow’. ’The previous decanters were rated to 55 m3/hr, but the most throughput we could utilise without compromising capture rate was only 21 m3/hr. Therefore, 21 hours of dewatering was required each day, equating to a total power cost of $73,139 per annum. Power savings of this magnitude represent CO2 reductions of 173 tonnes per year – equivalent to the emissions of almost 40 cars - and total power cost savings of 73.4% or $53,639 in total per annum. On these factors alone & maintenance costs saved, payback should be achieved within 4 years. By stipulating that the decanters have sealed internal bearings, Mark estimates that the plant saves $50,000 annually in maintenance costs. The machine has now completed 8,000 hours of service, and the internal bearings have not been touched once. A key benefit was the decanters’ footprint, and the ease with which the decanters can be inspected. The simplicity of the hinged covers means that the machines’ internal mechanisms are easy to access and every component can be easily viewed. ’So, it was simple, it fitted into our footprint, and the orientation of the machine fitted. The feed and the cake discharge zones were basically the same as the previous decanters, so we didn’t have to rearrange the pipework too much.’ This made commissioning relatively straightforward and it occurred within a short time frame. It also provided a safer and a more spacious working area as the Alfa Laval decanters occupy a much smaller footprint than the old machines, but are equal in production capacity. 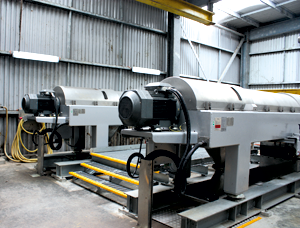 Not only were the decanters price competitive, but with the volume they can handle, Sydney Water was able to replace three of its old decanters with two new ones, immediately reducing overall capital and ongoing maintenance costs. Once again, Alfa Laval’s Australian service centre provides customers with long-term confidence and peace of mind. Alfa Laval said that they could achieve between 30-40%. In reality, we’re seeing savings in excess of 47% power savings on the decanters alone. It’s very impressive. ’With our old machines, we were lucky to get 18% cake solids. With the Alfa Laval machine, as soon as it went in, we pretty much hit 20% without doing any optimisation, to the point now where we can get it very close to 22%, just by optimising the process and feed rates. I’m glad we wrote the tender the way we did. We saw some nice machines during the process. I feel proud that we selected a machine that’s exceeding our expectations, and that we have local support. Alfa Laval have gone out of their way to keep us satisfied. I personally feel a sense of achievement in that dewatering facility. I’m a satisfied customer through and through. 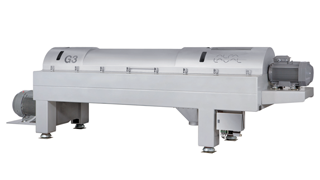 The ground-breaking ALDEC G3 decanter is the result of a rethink of the basic parameters of decanter centrifuge design and performance.